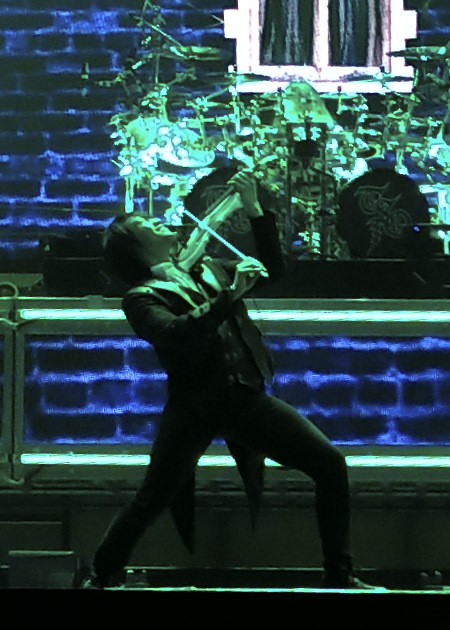 December 11 in Greensboro, North Carolina the Trans-Siberian Orchestra played the first of two shows in one evening. Scheduled to play Sunday, Dec. 9, they had to delay due to the severe snow storm that hit the east coast. Trans-Siberian Orchestra has been playing seasonal operas to sold-out crowds around the globe. 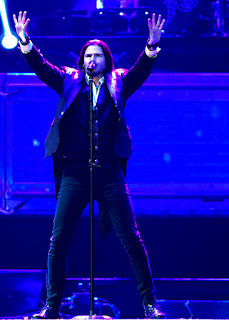 With multiple Platinum-selling albums (10 million units worldwide) they've brought their rock operas to more than 100 million people in eighty plus cities over a twenty year period. 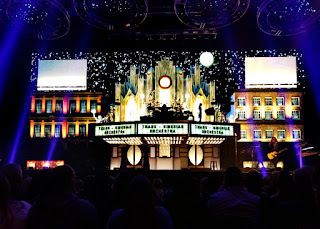 Regularly performing up to ten shows in a six-day period, featuring elaborate stage and light shows. 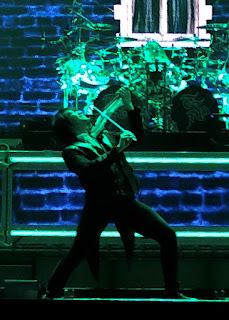 With over three dozen alternating musicians, of similar appearance, backup singers, storytellers, and a small seven-person string orchestra drawn from local talent in every city. 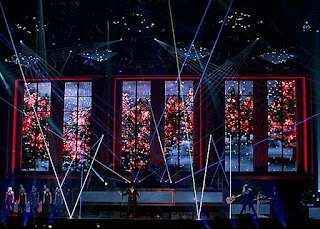 They leave crowds in awe with over the top performances that last up to two hours and sets that include massive disappearing stages, numerous laser and light banks. 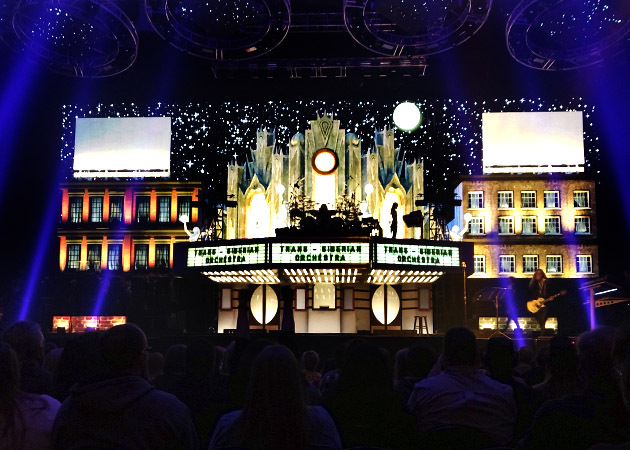 Smoke machines, multiple rows of pyro, spark ejectors and massive projection screens round out the $ twenty million dollar production that is equaled only by Pink Floyd. Band members have pedigrees that read like a who's who of rock royalty. Writing, producing, managing and playing for AC/DC, Aerosmith, Ted Nugent, Scorpions, Def Leopard, Madonna and others including the band Savatage. 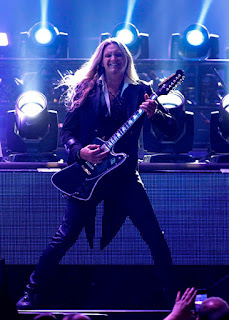 Savatage launched the collaboration with Paul Oneill, Jon Oliva, and Robert Kinkel. 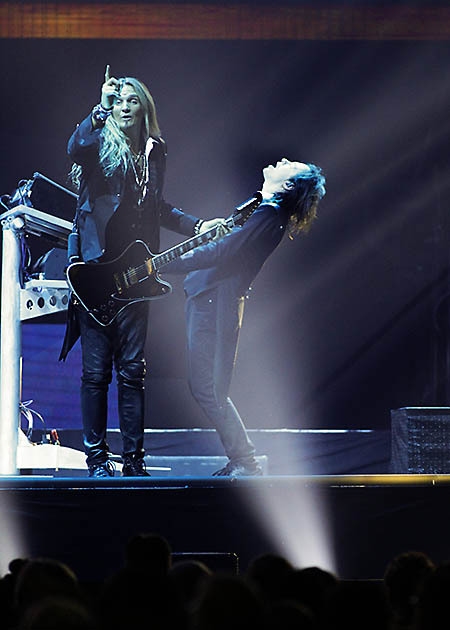 The trio began writing, producing and performing the music that would lead to the Trans-Siberian Orchestra. 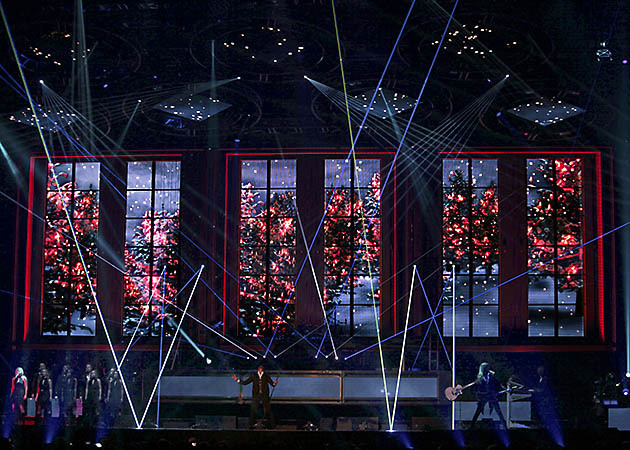 Many rock bands have covered both contemporary and classic Christmas songs. 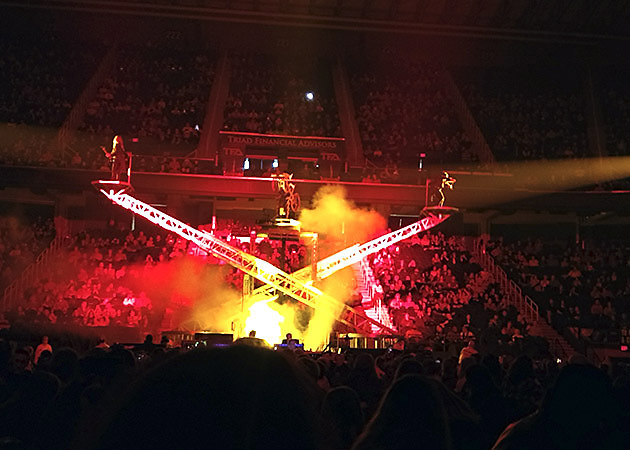 Trans-Siberian Orchestra goes well beyond putting "The Little Drummer Boy" to an electric cord. 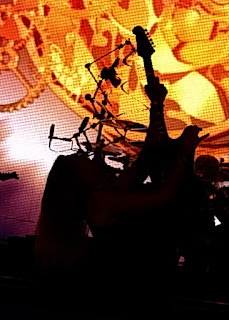 Oneill, who passed away in 2017 after a lengthy illness, founded the group 20 years ago with the intent of creating an unrivaled progressive band with music in the same vein as Pink Floyd and Emerson, Lake & Palmer and modeling their rock operas along the same lines of Queen and The Who. The past dozen-plus years have seen the non-holiday opera "Beethovens last night" and "The Christmas trilogy", which includes the current opera "The Ghosts of Christmas Eve". The story is told by the caretaker of an abandoned theatre which he magically brings to life for a young runaway who fell asleep in the theatre after seeking shelter from a snowstorm on Christmas Eve. They opened with an instrumental of " O come all ye' faithful" followed by "Joy to the world" and "Hark the Herald Angels". Mixing progressive rock ballads amongst the traditional tunes keeps the performance from being just another rock band playing Christmas music with a FlyingV. 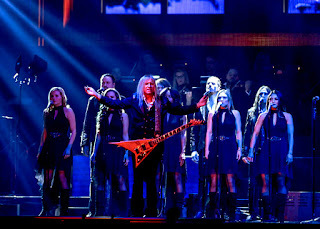 If you have the opportunity to see Trans-Siberian Orchestra for any of their "operas" do not pass it up. You will become a fan.